History improves the mind and expands our knowledge of the past. 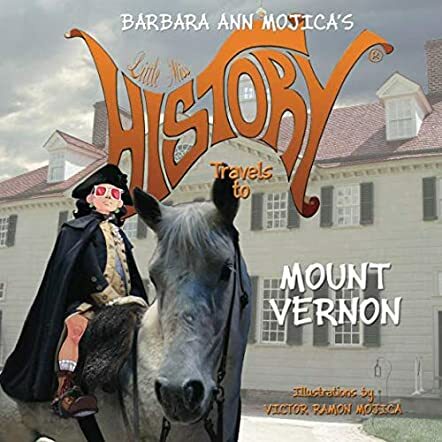 Little Miss History Travels to Mount Vernon (Volume 7) by Barbara Ann Mojica is a beautiful, colorful children’s book about the journey of the past, our history. This book is a part of the Little Miss History series and takes us on a historical passage to Mount Vernon, where you will learn everything about this place. Do you know anything about Mount Vernon? Do you know where Mount Vernon is located? Mount Vernon is located in Virginia. As Little Miss History walks us through Mount Vernon, we are introduced to the life of President George Washington, his plantation, and the Mansion House. The Mansion House is one of the prominent features of George Washington’s possessions. Reading Little Miss History Travels to Mount Vernon (Volume 7) by Barbara Ann Mojica, you will be educated about the tools that were used on the plantation, slavery, and life during those times. For me, reading Little Miss History Travels to Mount Vernon (Volume 7) by Barbara Ann Mojica took me back in time, going back to basics such as embracing a healthy quality of life with offerings from the farm such as table meats, goods and produce. Washington was passionate about gardening and trees, and he ate healthily. By experiencing and learning about the past, you are able to create a future. If you like historical books, get a copy of Little Miss History Travels to Mount Vernon (Volume 7) by Barbara Ann Mojica with illustrations by Victor Ramon Mojica. I always look forward to reading new "Little Miss History" books. This "part cartoon / part real photography" picture book format, with snippets of interesting information, is a great way to get children interested in US history. Even as an adult, I finish each book feeling as if I have just been away on an exciting day trip to explore a new location. In the new Mount Vernon book, we learn about George Washington in his lesser-known role as a farmer, as we explore his mansion and farms at Mount Vernon. We get to see inside the grand main house, as well as inside many of the additional buildings - including those where his slaves lived and worked. We get a glimpse of his attitude to slavery, and readers are left to consider the poignant question as to whether this attitude was correct or not. Another great addition to the Little Miss History Collection! 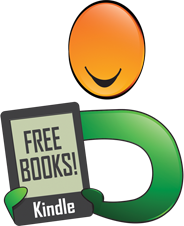 Disclaimer: I received a free copy of this eBook in return for my honest opinion. I could give no greater admiration than to say that reading the Little Miss History series truly blessed me in many ways. Through the eyes of Little Miss History, I discovered many historical landmarks and learned about the people who left a significant imprint on history and our country. The latest book, Little Miss History Travels to Mount Vernon, is beautifully written and illustrated by Barbara and Victor Mojica. It takes young readers to the eighteenth century, where children will learn about George Washington, the first president of the United States, his life, work, and death, and some sad facts about slavery. The story of Washington’s Mount Vernon mansion and plantation perfectly captures the era and the soul of the man, who deeply believed that every man should be free regardless of color or status. Sadly, he died before he could bring his vision to reality. This is one of those books your child must read. It’s a very simple and quick read, but oh so effective! If you want to have a healthy conversation with your children about diversity, slavery, and historical events, but do not know how to spark their interest, the Little Miss History series is your perfect tool. 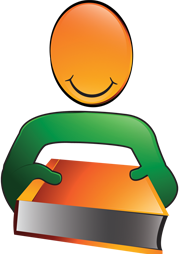 Each book is uniquely illustrated and contains an instructive story, easy to read together with an elementary-school-age child or grandchild. It has beautiful art and simple language, and you’ll find it encouraging and inspiring to learn more about the country that our children have the privilege to live in. The Little Miss History series has multiple award-winning books, great reads for the younger generation yearning to learn more about America and the life of their peers before them. This talented team of the wonderful writer and creative illustrator certainly know how to deliver page after page of engaging observations. While sophisticated in scope, the story reads quickly and is easy to digest. It feels like a breath of fresh air and is definitely an eye-opener for children who love to sink into a short history book, packed with facts. I must say, you'll want to read these books in a quiet place and look closely at each illustration. They’re full of amazing characters. Very interesting art and educational writing, worth every penny of your investment. If you’ve ever wanted to teach your children about our country’s past, the Little Miss History series is your map! I can't tell you how much this book resonated with me. After recently visiting Virginia and spending hours on the grounds of Mount Vernon, I found myself thumbing through my recent photos comparing the resemblances of illustrations found in Mojica’s book. With George Washington being the first President of the United States, there’s so much rich history to take in on the grounds of Mount Vernon, and for children who have never been, but thirst for important details, “Little Miss History Travels to Mount Vernon” does the trick. 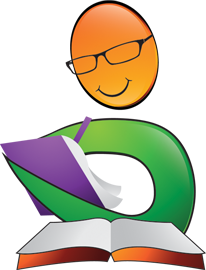 It’s loaded with factual information children, and teachers alike will want to know about. For children and their families who have visited Mount Vernon, they’ll appreciate reading, reminiscing and discussing all the special features and details they learned while there as they compare notes from the book. In fact, I plan to purchase two of these books as Christmas gifts for two special little cousins who accompanied me and other family members during our visit to Mount Vernon this summer, 2016. Among a few photos, I have one special snap shot of the girls in front of the coach Mr. Joe drove as a travel vehicle for the Washington’s. The girls will be thrilled because I’ll attach photos onto certain pages of the book where they stood right on the grounds at Mount Vernon before sending them their books. Teachers: You’ll want a copy of this book in your classroom library. Little Miss History travels the United States visiting important landmarks and gives an exclusive tour of the place. Little Miss History Visits Mount Vernon is a wonderful little peek into the home of our first president, George Washington. Mojica takes the reader though a few rooms, pointing out interesting facts like the tremendous amount of visitors Washing had yearly, or the kitchen and cooking was actually in another building. She points to a key hanging in the front hall, explaining it is the key to the Bastille, given as a gift to Washington from General Lafayette. The rooms are photographs of the real Mt. Vernon, with the illustration of Little Miss History participating in an activity during the tour. Especially endearing is our tour guide reclining on Washington's enormous bed, sans her boots. Whatever illustrations in the book are detailed and beautiful. Mojica describes jobs held by slaves, without going deeply into the explanation or institution of slavery. She delves into the lives of slaves, the type of work, where they slept, even names a few key slaves that held important posts. She mentions that Washington did not agree with owning slaves and freed them at his death. She shows the monument to the slaves buried on the property. She created the series with the intention to grow with a child's intellect, introducing them to history without having them overwhelmed with complicated concepts. With her books, history is not a chore, but a fun experience. I received a copy of this book to read voluntarily. Another book for the children's library! Little Miss History has done it again! In this next installment of the Little Miss History series, we travel to and learn about Mount Vernon, home of George Washington. This book is similar to the rest, blending illustrations with actual photos of the location, giving the reader a glimpse of the actual place, with a touch of whimsy. My favorite pats of these books is that they are full of information! Little Miss History teaches and entertains. My children LOVE reading this series!!! They make learning history easy and fun. I loved the photos, information, and details provided in this simplified yet clear and current rendition of Mount Vernon. I visited there years ago but did not have access to the information provided by Ms. Mojica. 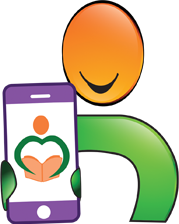 This is wonderful for young readers! Thank you for this tribute that includes a more complete picture of our first President's home and his attitude on slavery. Little Miss History Travels to Mount Vernon is a perfect introduction to George Washington and his world. The full page illustrations are a collage of cartoons and photographs, while the text is filled with important history and fascinating tidbits. I knew that Washington liked living on his plantation, but not that slaves used scythes to mow the huge lawn. How exhausting! Slavery was legal in Washington’s time but not acceptable to all. I like the cartoon of the author on Washington’s huge bed, which was custom made for this unusually tall man. Humor is sprinkled throughout. This was a time before indoor toilets or plumbing or refrigerators. There are details of slave life on the plantation and Washington’s evolving views on slavery. It’s a moving documentary of his life, location, and era. This would be an excellent book for all ages, and also perfect in a classroom. Little Miss History Travels to Mount Vernon is a great educational tour through the home of one of our founding fathers and first president, George Washington. It shows bright vivid shots of some of Washington's gardens of which he experimented and fine tuned with the cutting edge in agricultural techniques of the day. I love some of the highlights of the house the book shows such as the key from Lafayette and the custom bed made just for the tall George Washington. The book covers some fine details about the background and day-to-day workings of the estate and it was interesting to see the burial sight at the end. This was a fun read and I would definitely recommend the book! Little Miss History Travels to Mount Vernon is the 7th book in this excellent series that visits historical landmarks in the United States. In Barbara Ann Mojica’s latest book, Little Miss History takes the reader on an intriguing journey to Mount Vernon to learn about the life of George Washington. The author presents interesting facts about the lifestyle at the time by visiting rooms in George Washington’s mansion, the gardens and grounds, and the slave quarters. Each page has a photograph that has the wonderful illustrations overlaid on it. This book, as well as all the book in this series, are written and designed in such a way that readers will be hooked on history. Wonderful book and highly recommended. Little Miss history rides her white horse to George Washington's farm at Mount Vernon. She gives us a tour of the rooms. She points to interesting artifacts and she shares interesting facts with the reader. The story is long enough to explore Mount Vernon's hidden gems, and it's paced beautifully to keep a young kid's attention. The artwork is superb. It's like an augmented reality picture book style with the illustrations of Little Miss History carefully placed on top of the real photographs of Mount Vernon. Some of the illustrations are more transparent and giving the reader a ghostly feel. It's very appropriate, in my opinion. I specifically liked the illustration featuring Little Miss History reaction to the "Nessacary house". It's so funny! This is an engaging educational book. Readers will love the bright illustrations. In this story children will tour George Washington's mansion, Mount Vernon, and learn about his life there. For example, did you know George loved gardening. He even had a greenhouse, but something terrible happened an another American president helped with repairs. Did you know George had special rooms for visitors? He had many hundreds of visitors a year. You'll be surprised to learn more about George Washington's life and you're sure to enjoy this story.Get this book and take the trip around Mount Vernon with Little Miss History.You'll love the story as much as I did. I've read nearly all of the books in the Little Miss HISTORY series and loved them all! This set of books reminds me of a quote by Johann Wolfgang von Goethe, “If I accept you as you are, I will make you worse; however, if I treat you as though you are what you are capable of becoming, I help you become that.” These books are short enough to be classified as picture books, but the author writes at a chapter book level, assuming that even young children can be taught to grasp values through history lessons. This particular book touches on the fact that George Washington owned slaves and bequeathed their freedom upon his death opening a door for parents and teachers to talk about the need for humane treatment and equality of people. The artist and illustrator combine a love for travel and a love for history, creating a series that is educational, entertaining and easy to read. I read and reviewed the book before this one, Little Miss History Visits Ellis Island, and like that one, this book is a beautiful combination of the fictional character and real life photos. I knew very little about Mount Vernon before finishing this book, and I can safely say that I came away more knowledgable. I think the entire series by Miss Mojica would be a beautiful addition to any home schoolers history studies or just good fun for any history loving child. Little Miss History provides us with another history lesson as the reader is told about George Washington’s home, Mount Vernon, and his life. The author includes facts that young readers will find interesting while the illustrator aptly combines real photography with superb illustrations to fascinate all. A great addition to a noteworthy series. I live in Australia, but I enjoy Miss History's little bits of information too. I can imagine how useful these books are in American Schools. They would be very helpful for teachers to tell smaller children about American history and places. The books are well laid out and easy to follow. I can recommend this series to anybody who is interested in history. Well done! In one word...EXCELLENT Author Barbara Ann Mojica and illustrator Victor Mojica continue to amaze with the Little Miss HISTORY series. This husband and wife team’s newest joint venture "Little Miss HISTORY Travels to Mount Vernon" is a magnificent exhibition of their talent. In this latest installment of the educational and entertaining travel series, the Mojicas once again inform young readers of important people, events and places in America’s history. Join Little Miss HISTORY, the young and curious world voyager, as she descends at the home of George Washington, the first president of the United States. And, if you haven’t yet, make sure to treat yourself and your children to Little Miss HISTORY’s previous excursions! All seven volumes are highly and warmly recommended. Every time I read one of these books, I learn something new. Miss Mojica does a fantastic job of researching information for her stories. I look forward to reading more, and I am passing these books on to my great-nephews, who would thoroughly enjoy them.